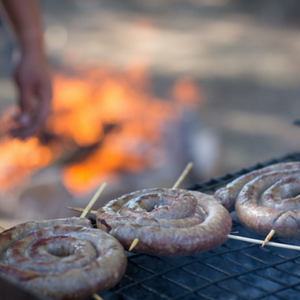 South Africans cannot be expected to pay R500 000 in taxes towards braai areas at ministerial homes, Parliament's Standing Committee on Public Accounts has said - this after reports that the department of public works spent half a million on such facilities at three ministerial houses in Cape Town. "The committee is concerned about what seems to be a priority for government. "Is it really necessary to spend that kind of money just for a braai area for a Cabinet minister?" the oversight committee said in a media statement, after meeting with the department in Parliament on Tuesday. It has given the department of public works just over a week to report back. Earlier in the month, the Sunday Times reported that public works had spent R30m on five homes for ministers in Pretoria, Johannesburg and Cape Town. It reported that three of the Cape Town homes had been kitted out with braai areas costing a total of R500 000. The payments appear to fly in the face of efforts to curb spending on government ministers. Ministers have previously come under scrutiny for using executive privileges to book themselves in luxury hotels while doing government work, and flying business class. Scopa said it was informed that the department owned 148 sites of "prestige accommodation" allocated to ministers and deputy ministers. Some houses, it said, were not being utilised. "[We have] requested the department to provide the committee with a report on how much each of these houses are costing the government in maintenance, rates and taxes for the past two financial years." It has also asked for a report on which of these houses have been declared heritage sites, and the cost of maintaining them. "The committee is also concerned about the lack of a cap for the purchasing of ministerial houses, because the committee has learned that the department spends as much as R9m for a certain ministerial house, while other ministers live in homes that cost about R4m," the statement said. It has requested that public works report back on Wednesday August 29.